Summer is on it's way or at least I am hoping so. You really can't tell by the weather here lately in the Pacific Northwest. As it gets warmer though the drinks of choice tend to change. I have a couple favorites depending on whether I am home or out running about. If I am home I tend to go for iced tea. I have a lot of various fruity teas that I brew up and ice. 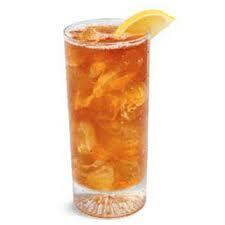 If I am about it is either an Arnold Palmer or a sweet tea depending on where I stop to pick it up at. Now I know that everyone has their preferences on summer drinks. Today however I wanted to share some recipes that I have come across. Who knows, maybe you will find a new cold beverage of choice. Raspberry Slush This one you have to make ahead of time but it sounds so wonderful. Gingered Lemonade Sounds so refreshing! Ginger Ale Here is a recipe to make your own so that you can adjust the amount of ginger. Fizzy Fruit-O-Rama Perfect drink for the young ones. Mint Mocha Frapachino Now I don't do coffee but I know a lot of folks do. Good Ol' Alabama Sweet Tea It wouldn't do to not have a sweet tea recipe. So here are recipes to get you started. Hope that you enjoy them and perhaps find a new favorite. Oh and by the way, what is your favorite cold drink? Do you have any recipes that you would like to share?